I’ve mentioned before that I have seriously clumsy kids. And I’m not just saying that lightly like seemingly every other mom of boys. 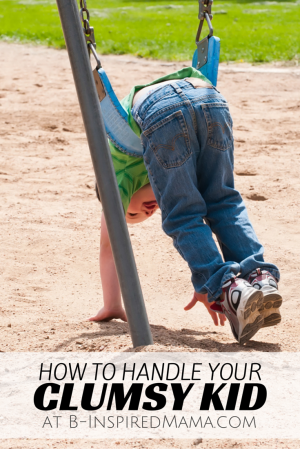 Both of my boys have varying special needs – including Sensory Processing Disorder, ADHD, and Developmental Coordination Disorder – which adds to their active, bruise-inducing behavior. 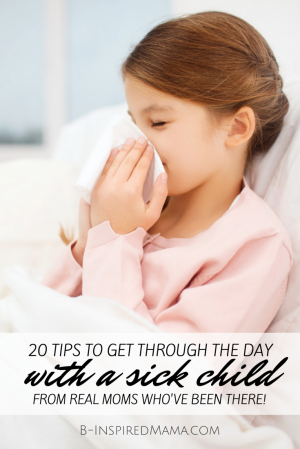 To make matters worse, they often resist any remedies that might help treat their bumps and bruises, too. You are not getting close to either of them with an ice pack. And if you do, they certainly aren’t sitting still long enough to keep it on for more than three minutes. 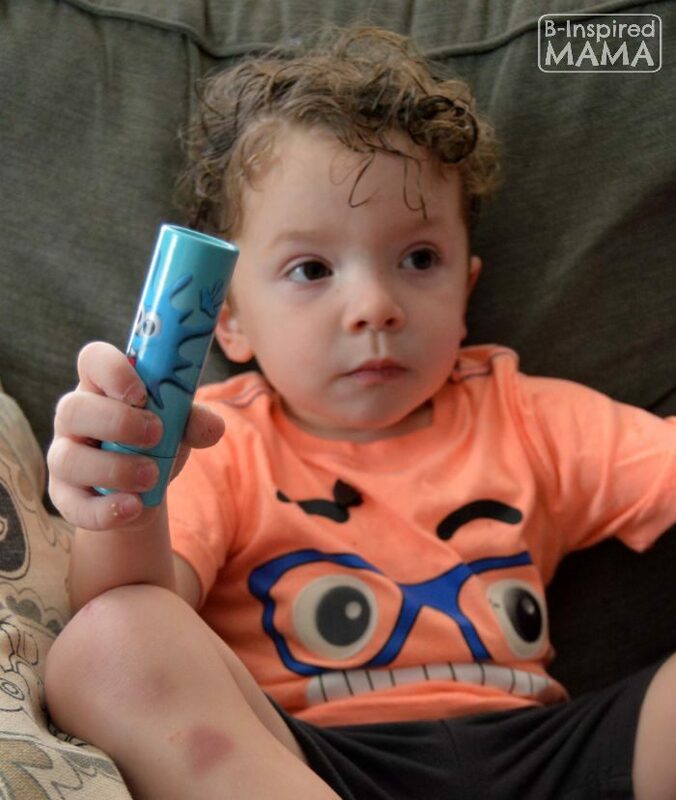 A Kid-Approved Homeopathic Option for Boo Boos! 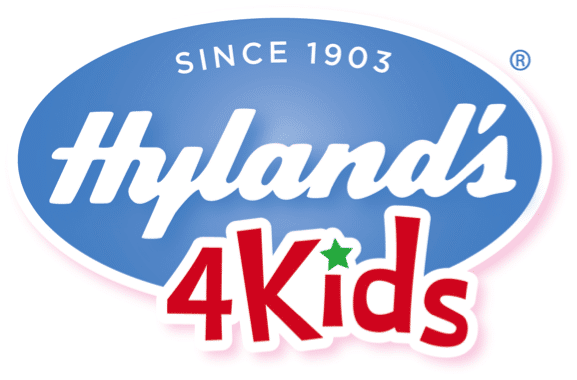 This is a sponsored post written by me on behalf of Hyland’s 4 Kids. The uses for these products are based on traditional homeopathic practice. They have not been reviewed by the Food and Drug Administration. Also, all opinions are authentic and my own. Please see my disclosure policy. With goofy Splat! faces on the push-up paper packaging, my kids don’t mind it when I apply the new Hyland’s 4 Kids Bumps ʼn Bruises with Arnica Ointment Stick on their bumps and bruises. The new natural ointment stick is made by Hyland’s 4 Kids, a brand I’ve been using since my kids were babies and that’s been around for over a century. So I know it’s free of the bad stuff – PABA, parabens, phthalates, and dyes. Even Target trusts Hyland’s 4 Kids! 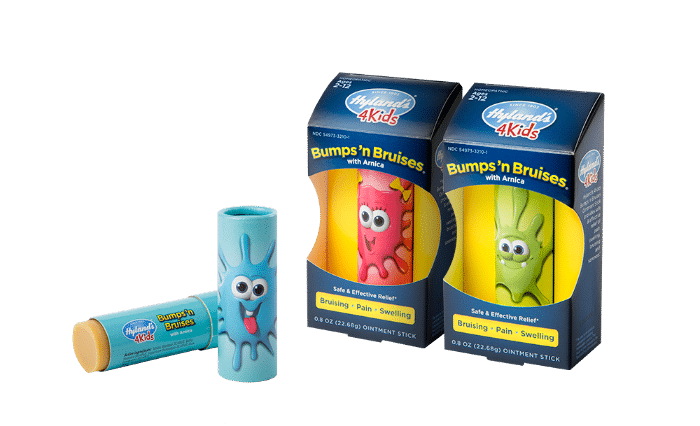 Hyland’s 4 Kids Bumps ʼn Bruises with Arnica Ointment Stick was one of the 31 brands selected for “Made to Matter — Handpicked by Target™”, a product collection exclusively at Target of leading natural, organic and sustainable brands that are #MadeToMatter. I love that it’s homeopathic, but the fun Splat! packaging makes all the difference for the kids. There are three different silly Splat! characters right on the push-up paper tubes that distract the kids enough to apply the natural pain relief. The kids can even go to the Hyland’s 4 Kids website to meet and learn more about the goofy Splat! characters! The easy-to-apply ointment is made to temporarily relieve the symptoms of pain, swelling, bruising, soreness and sensitivity to touch. 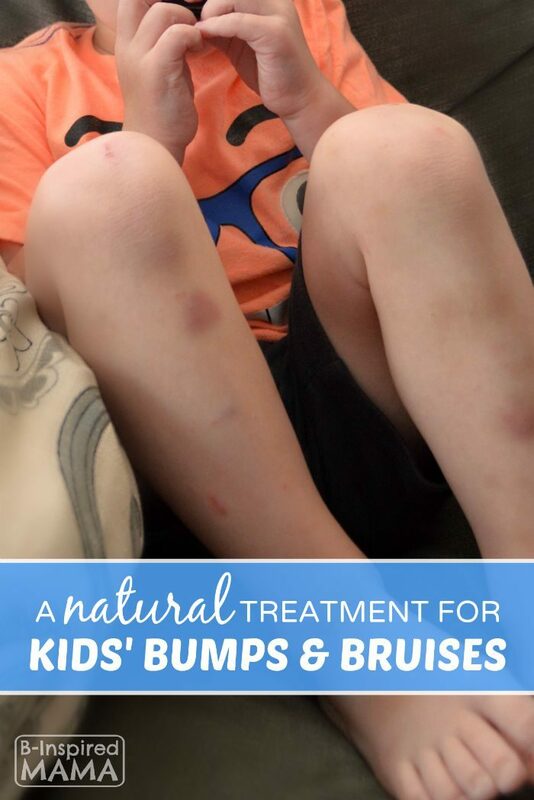 Honestly, I’m just happy to be able to treat my kids’ bumps and bruises somehow and feel like I’m able to help them in some way!